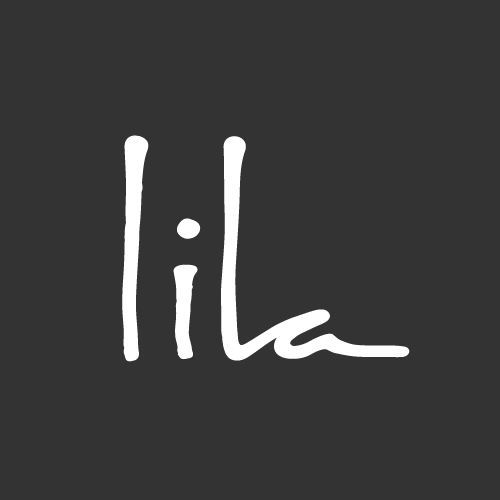 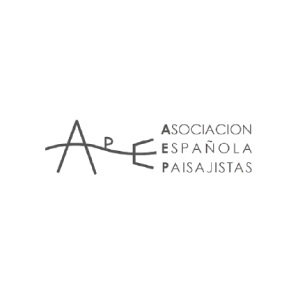 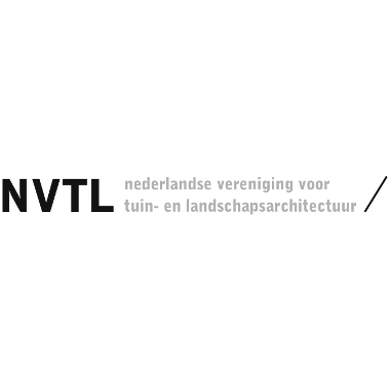 Project description text – up to 5000 characters with spaces. 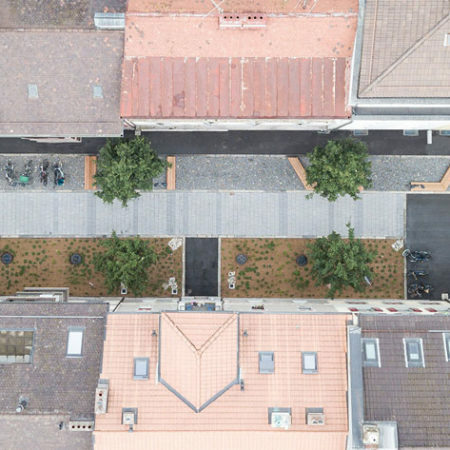 Please describe the problem, your solution, the process that led to the final design and all the invisible social, environmental and spatial facts. 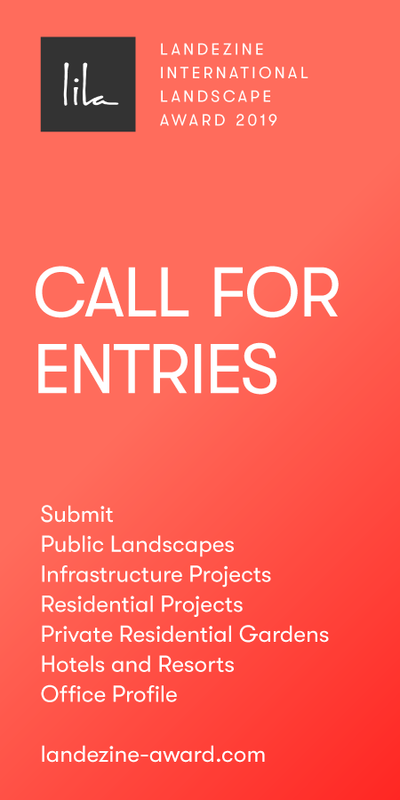 Help us understand why this project should be awarded. 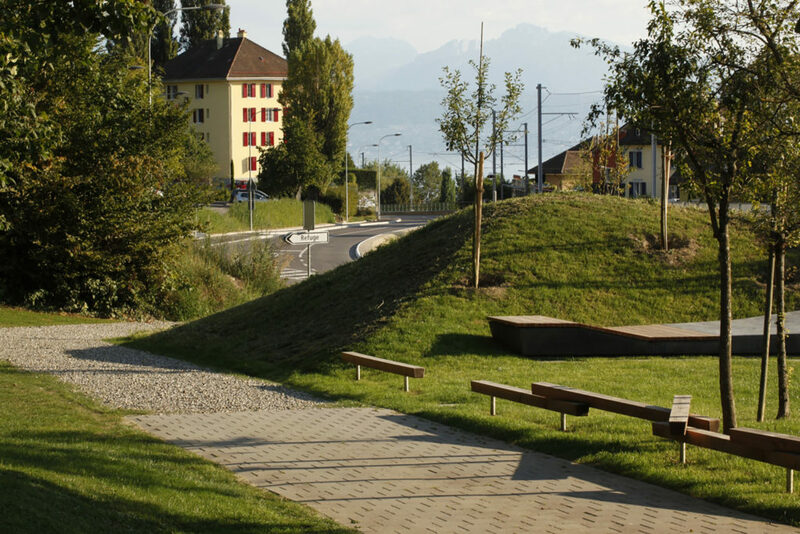 The renovation of the existing urban tram line combined with the realignment of a major arterial road out of the city radically reduced the open space surrounding and protecting the communal « refuge » of Prilly. 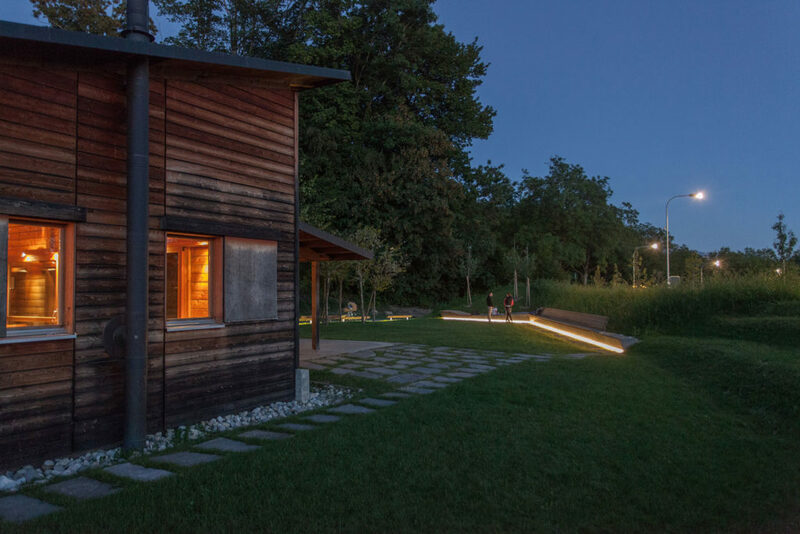 Highly regarded as a rural retreat within the city limits, these site changes required a strong response so as to compensate for the spatial loss. 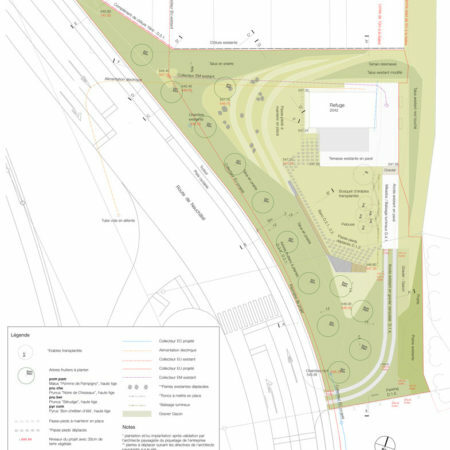 Noise, proximity to the heavily trafficked road and attention to the forest edge contributed as additional site concerns. 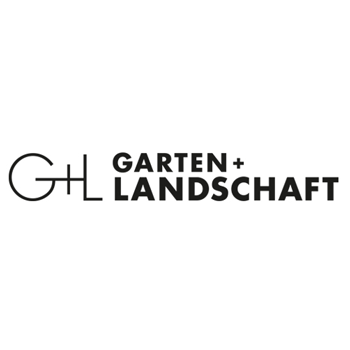 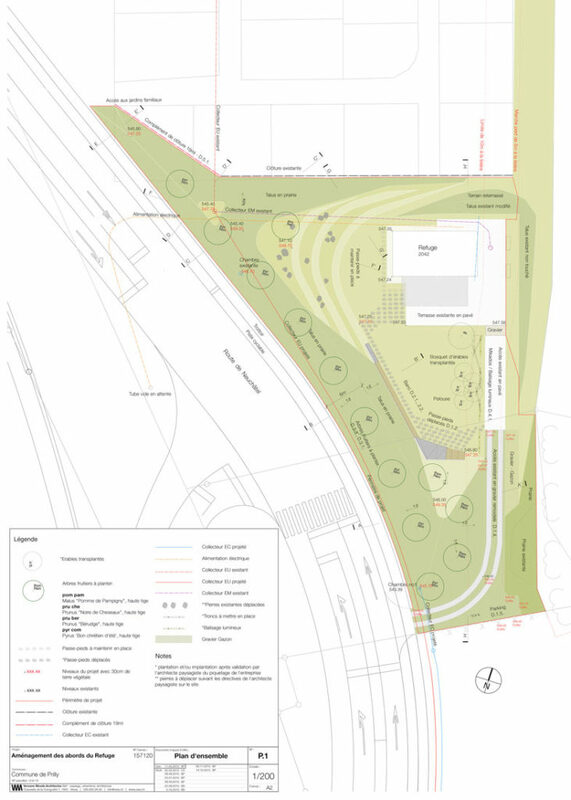 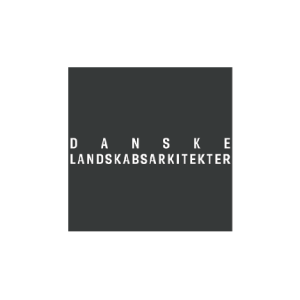 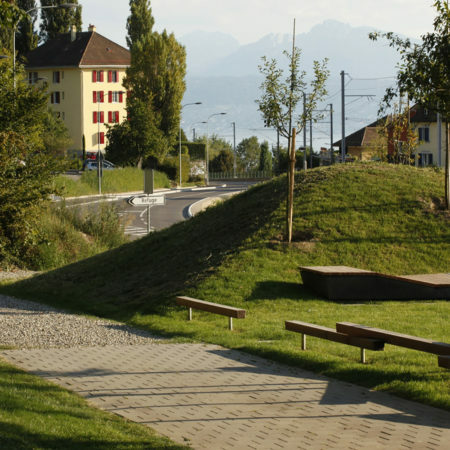 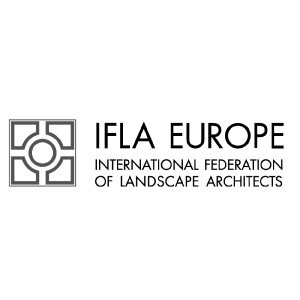 Site opportunities include the a real juxtaposition between city and nature, long views to the lake and Alps as well as the possibility to reuse construction materials and land fill. 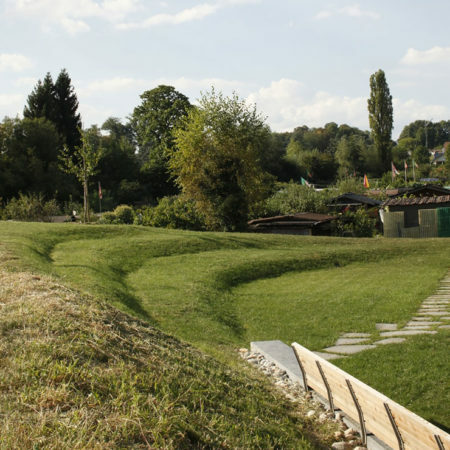 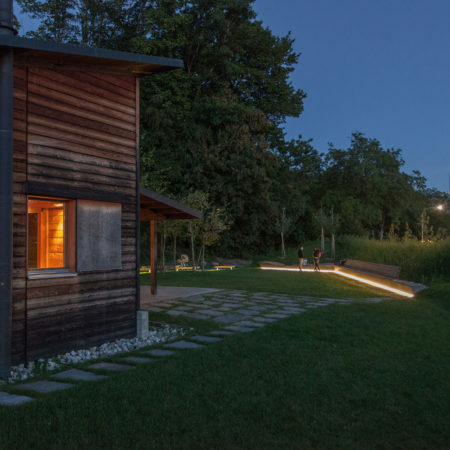 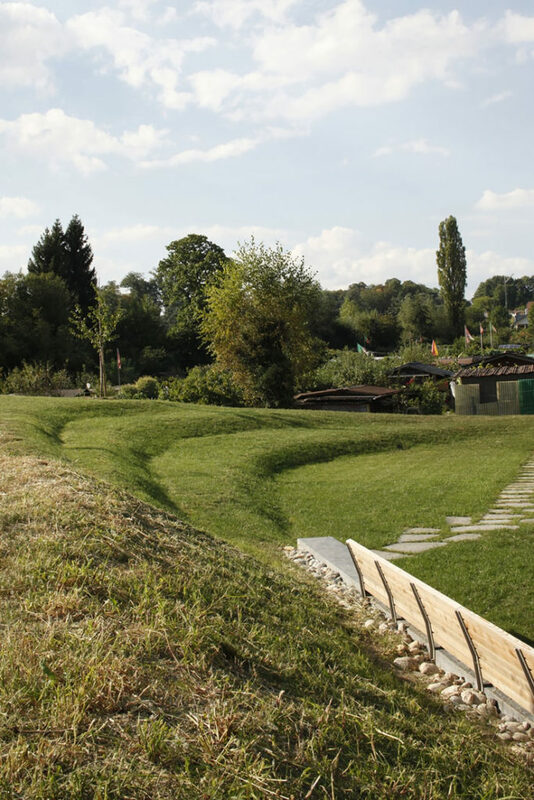 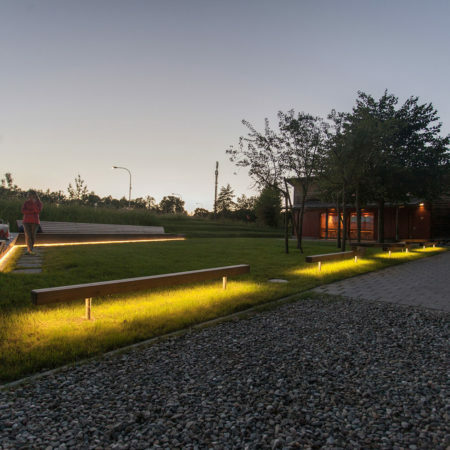 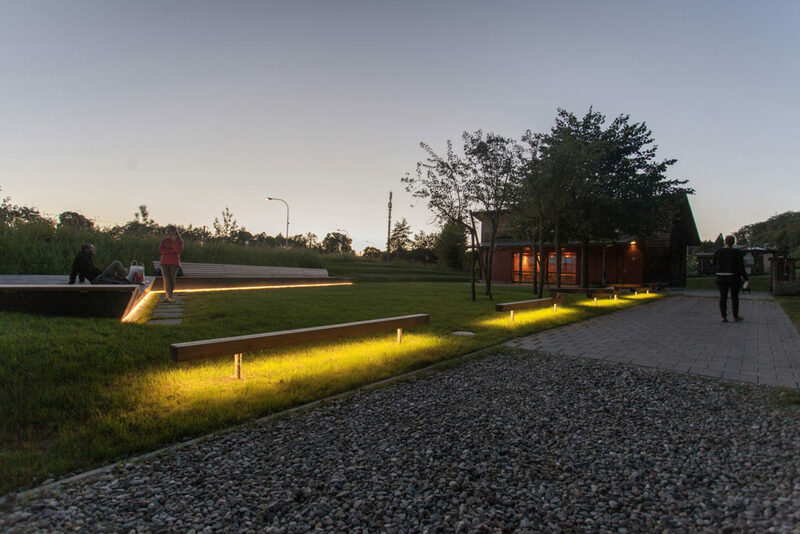 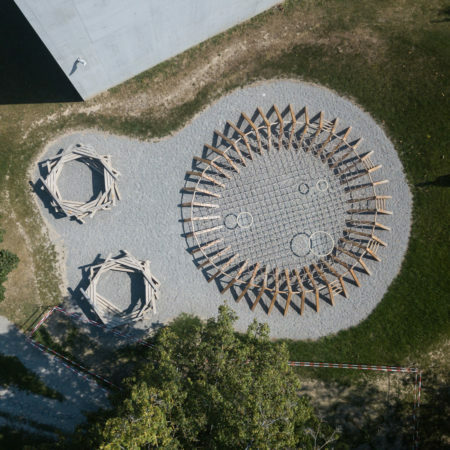 In response, the project deploys a large earthwork covered with a native dry-land prairie and punctuated by a line of fruit trees to safeguard the « refuge’s » inner garden from the aggressive peri-urban condition. 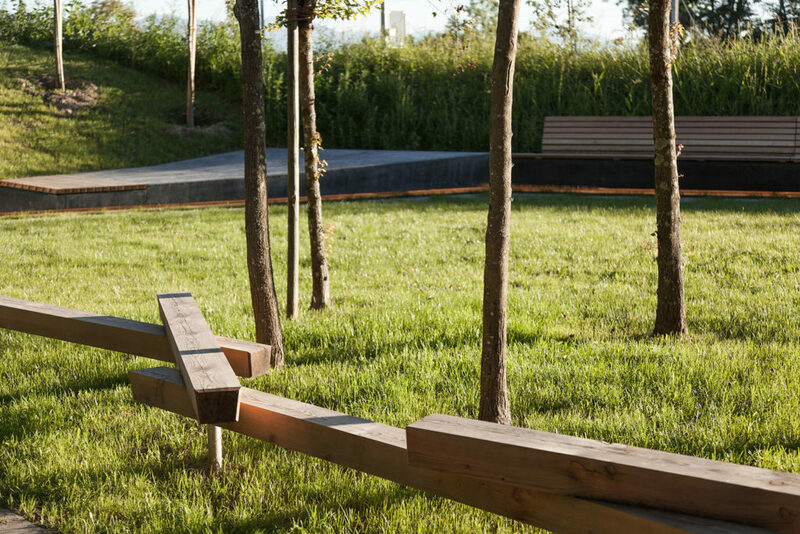 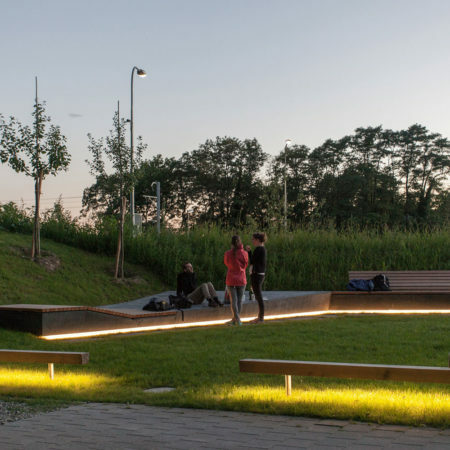 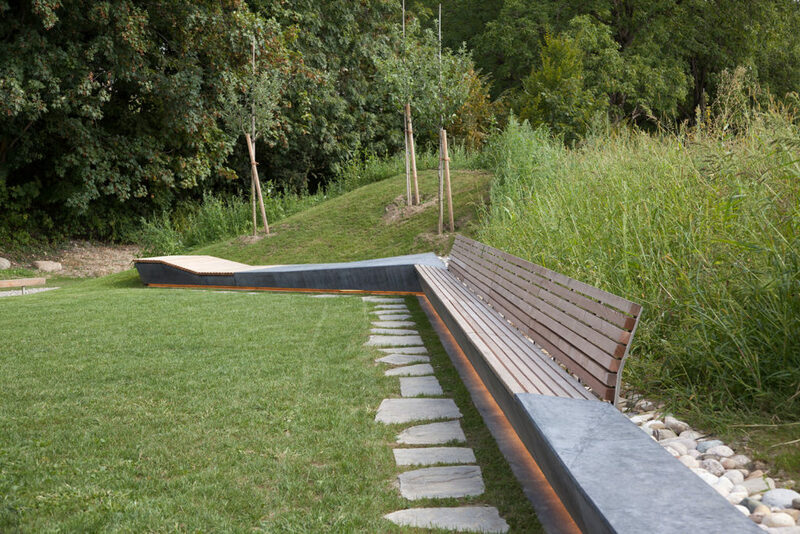 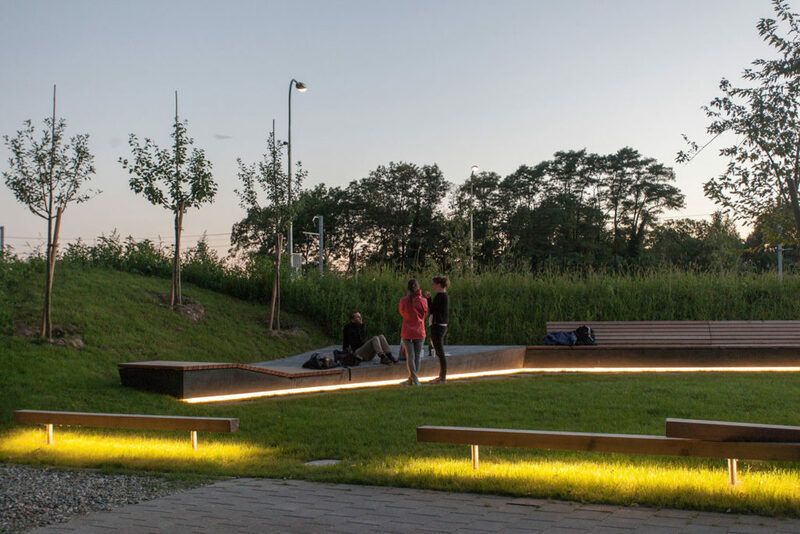 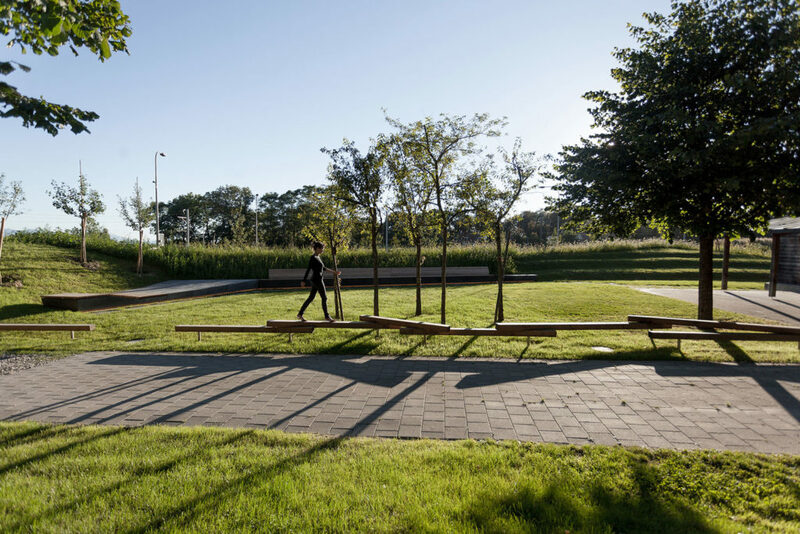 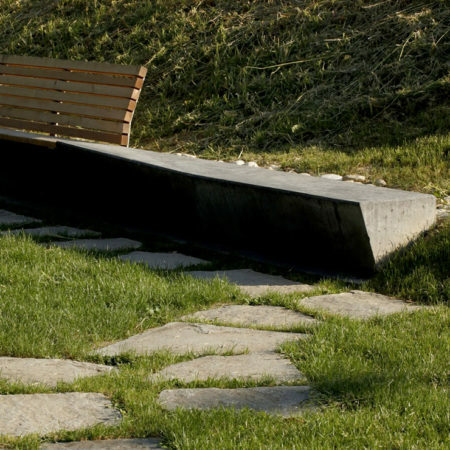 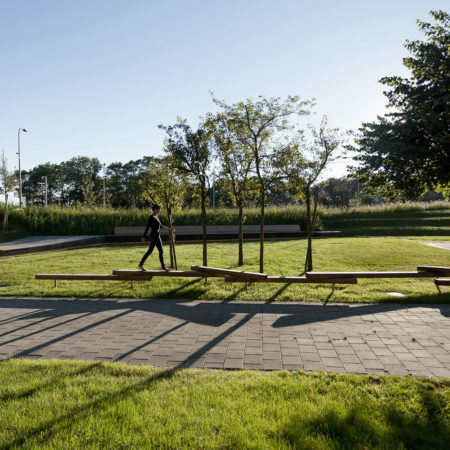 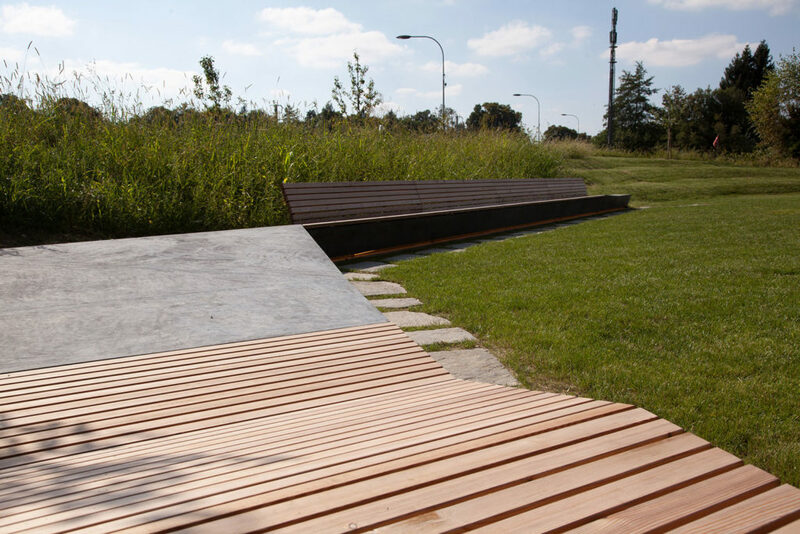 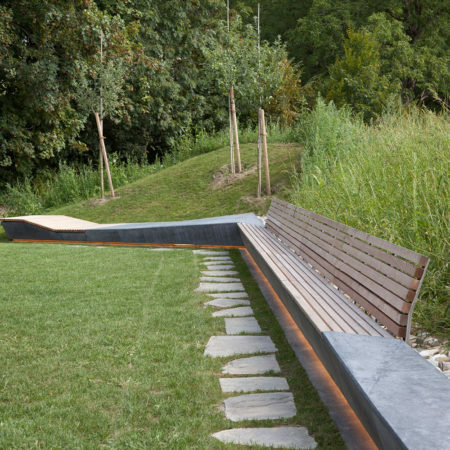 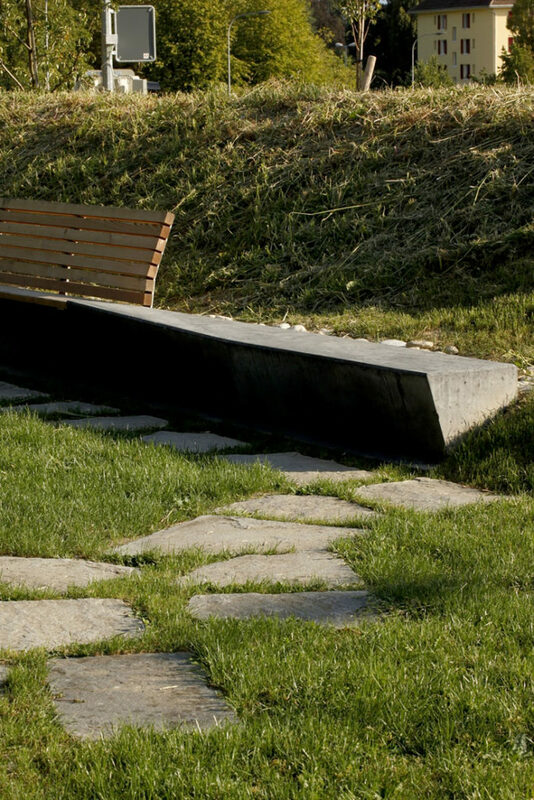 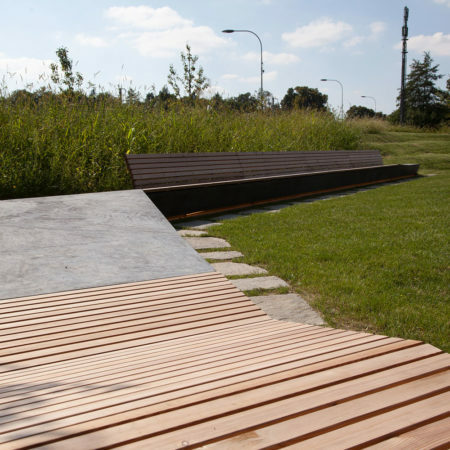 Along its inner edge, a 25 meter long extrusion of charcoal black concrete sheathed by a wooden skin re-centers the garden while providing a long band of comfort for site users. 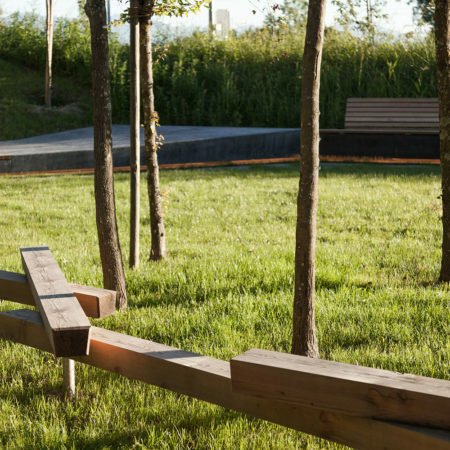 Large wooden « pick-up sticks » serve equally as balance beams as well as lighting supports from under a transplanted grove of maple trees. 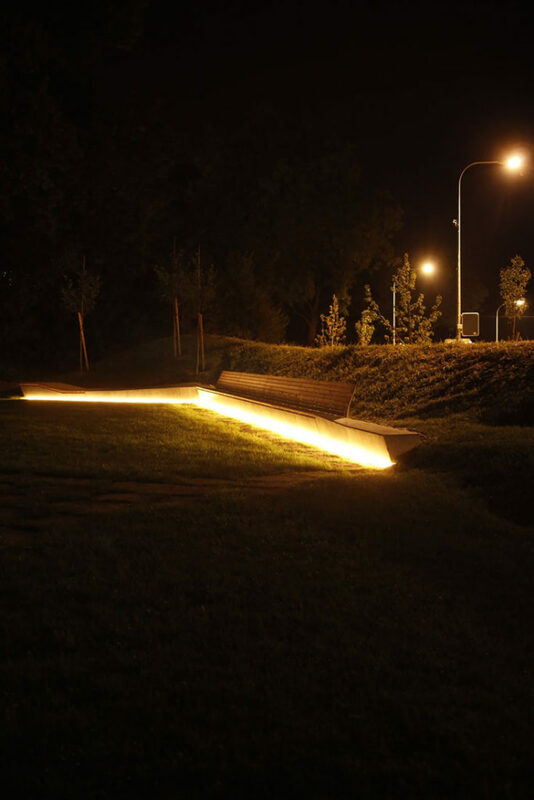 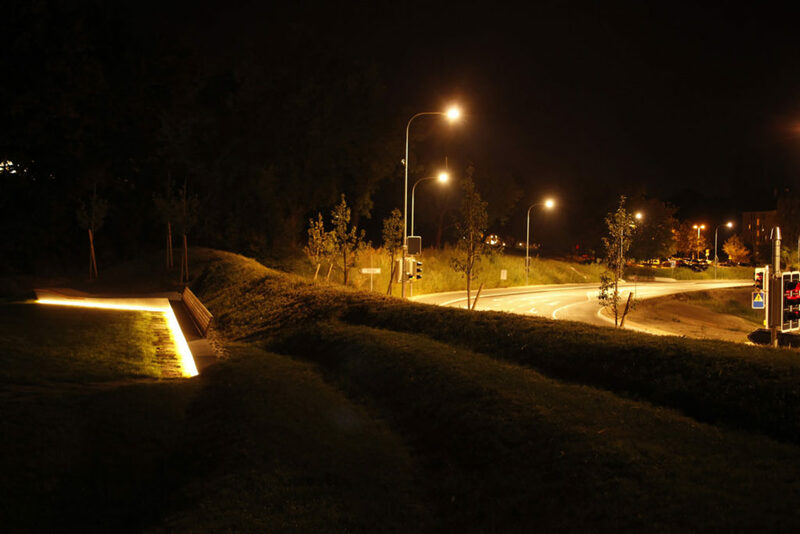 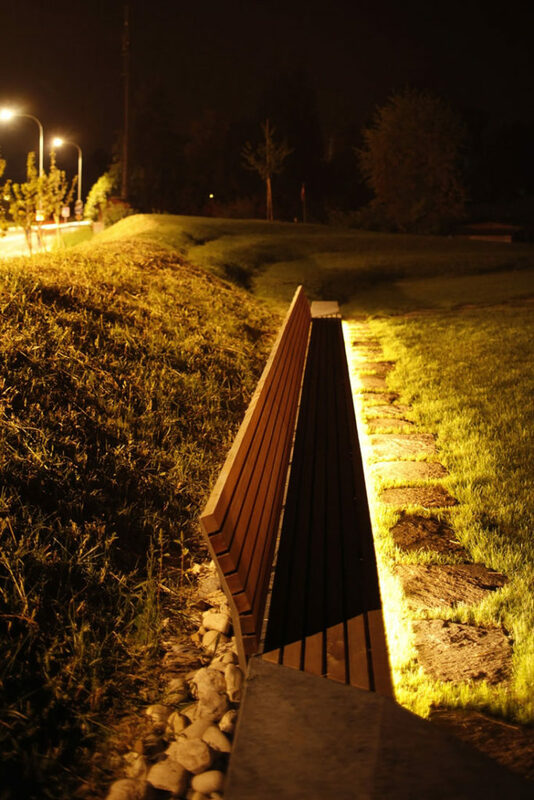 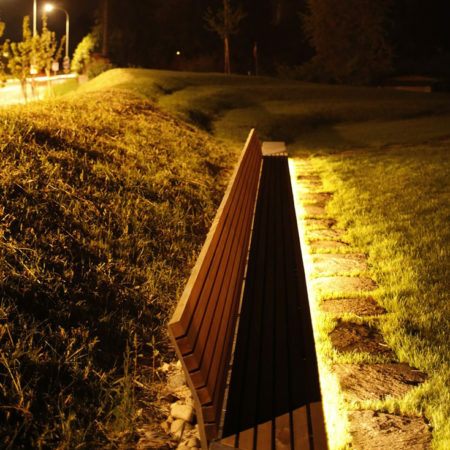 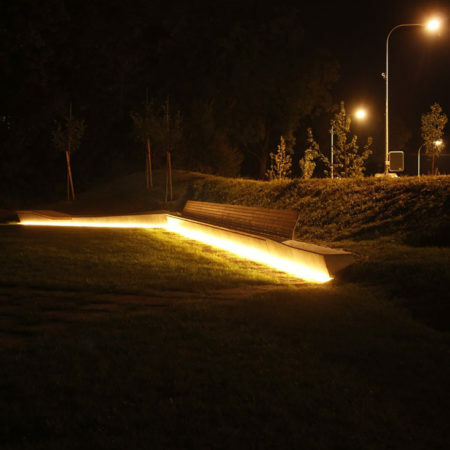 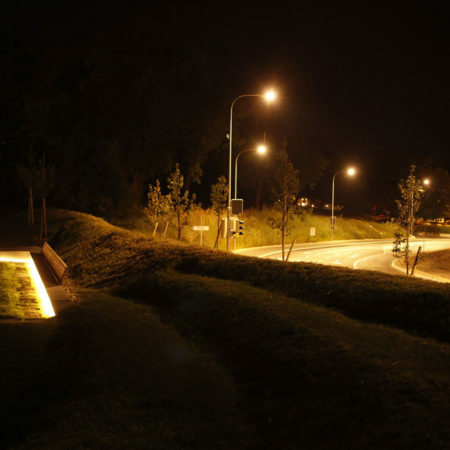 The atmosphere is ensured by the choice of materials such as non-treated larch wood, natural stone pavers, poured-in place concrete and coarse gravel as well as the selection of native vegetation.